After the summer break F1 returns to Spa. MotorSportNotes previews what could prove once again to be the pivotal race in the quest for the World Championship. Fairly significant changes have been rolled out to F1’s start procedures, commencing at Spa this weekend. In short, teams will not be able to adjust the clutch bite point as much as they have between the car rolling out of the garage and lining up for the start. The opportunity to make final adjustments based on track temperature and the drivers’ feel on the warm up lap is effectively gone. Drivers have more control now but it is not a return to three pedals, a gear nob and H-pattern shifter. However for the teams that have had start issues recently – both good and bad – it is an interesting challenge. Mercedes will hope the reduced technical input might actually improve their starts. Williams and Ferrari meanwhile – who have been dynamite off the start line – will feel slightly aggrieved. One of the few weapons they have been able to use against Mercedes could be nullified completely come Sunday afternoon. For us fans it could help make for a fabulous race. The run to the La Source hairpin is always dicey at the best of times. With the potential for good starters to have problems and vice versa, we could see a real mix going in to turn one. Another demolition derby a la 2012 could very well be on the cards as a result but if not, we have the mouth watering prospect of faster cars making their way through the field after poor starts. Assuming the slightly less electronics-controlled starts benefit Mercedes, they will carry their advantage over the field in to this weekend. Still boasting the strongest power-unit in the field and arguably the best chassis aerodynamically, the silver arrows should be taking a 1-2 finish in Belgium. 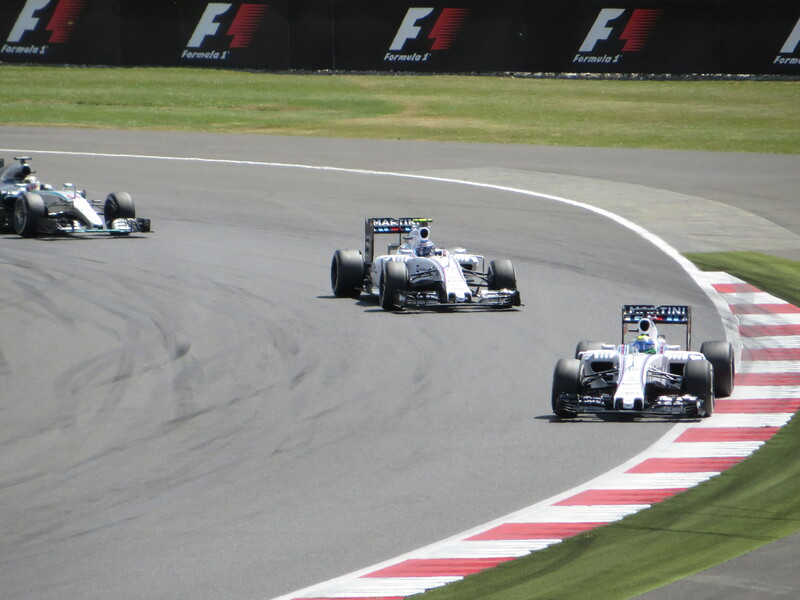 Williams will keep them on their toes based on the performances at the last high speed circuit, Silverstone. Tactical miscues and Mercedes’ superior long-run pace ruined the chance of a Williams victory. Their car does remain one of the slipperiest in the field which will come in handy this weekend. Despite recently rattling the Mercedes cage, Ferrari are unlikely to challenge on outright pace. 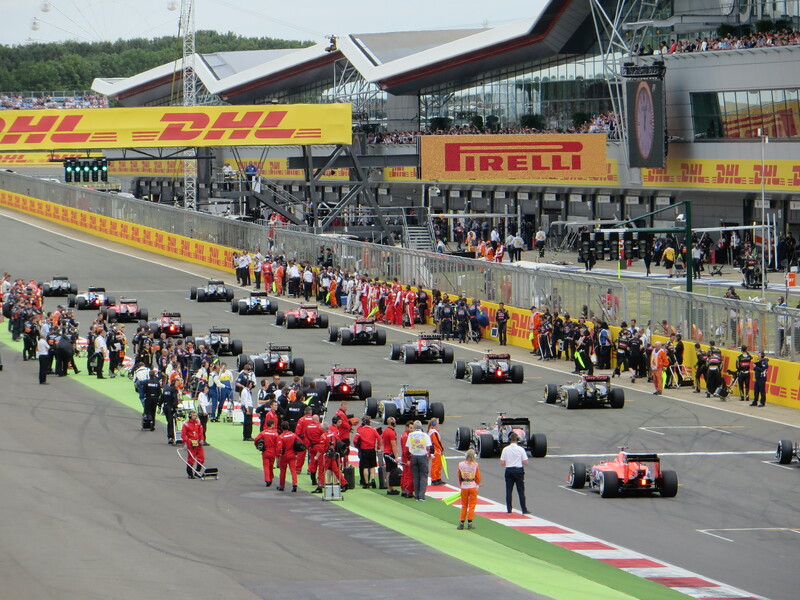 At Silverstone they were firmly third quickest until strategy and the weather played into their hands. Nevertheless Kimi Raikkonen is always quick here and Vettel find himself in the ideal position. With no real expectation of snatching the world title from Mercedes, the four-time World champion can simply go for it and see how the race unfolds. 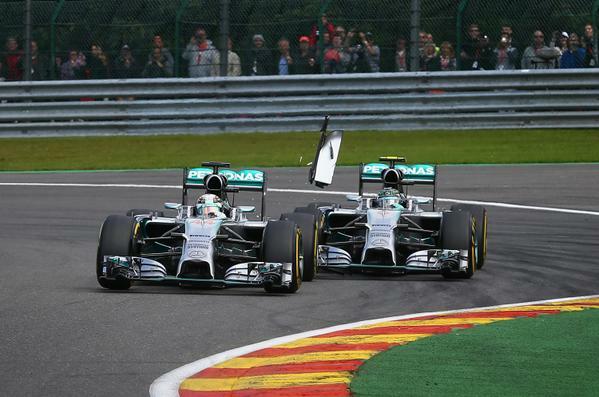 Conversely the Mercedes drivers will have Spa 2014 at the back of their minds. Rosberg will fear falling further behind Hamilton and Hamilton will fear his Hungary form spills over in to this weekend. The pivotal race of the season? Again? For Rosberg the Belgian Grand Prix is once again likely to be the pivotal race of his season. After unwisely clashing with the faster Ricciardo in Hungary and costing himself the chance of coming to Spa level on points with Hamilton, he is back playing catch up. With a twenty-one point gap to Hamilton and the ghosts of Spa 2014 still floating around, this weekend can only go one of two ways: the memory of last year (and the very public rebukes he received) plays on his mind and leaves him overly cautious and ineffective; or he uses that to spur him on to find that extra fraction of a second to beat Hamilton. The new start procedures could provide Rosberg with an opportunity but first he needs to match or beat Hamilton in qualifying. At the same time he needs to avoid being jumped by Williams to give himself a direct shot at his team-mate. Another comprehensive loss to Hamilton this weekend will likely be too much for Rosberg to recover from considering how Hamilton performed in the races post-Belgium last year. After the high of Hungary will come the low of Belgium for McLaren-Honda. Even with three tokens spent on upgrades to boost horsepower the power deficit will likely shine through again at a circuit where around 70% of the lap is at full throttle. McLaren will need to run a tea tray from the staff canteen on the rear to stand a chance and avoid being sitting ducks on the Kemmel straight. Penalties incurred for engine changes and the upgrades mentioned will see them start from the back of the grid. Of course the vagaries of racing at Spa always mean that something is salvageable from even from the lowliest of qualifying positions but expect another weekend that will test the McLaren-Honda partnership and the patience of their drivers, sponsors and fans. Another team that will need to run a slimmed down rear wing is Red Bull. 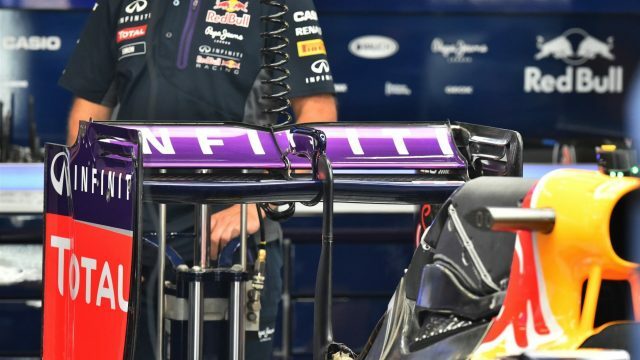 Pictures emerged on Thursday of some seriously skinny wings for Ricciardo and Kyvat to use this weekend. Both drivers could face another frustrating weekend. Throughout the high-speed corners at Spa the Red Bull chassis will be amongst the best balanced and fastest. Similarly to McLaren, the monster Kemmel straight plus the long run from Stavelot to the bus stop chicane will not be a happy hunting ground given their under-powered Renault unit. Wet weather and tricky conditions would be ideal for Red Bull to reduce the impact of their power deficit. At the moment the chances look very slim by Spa standards with rain not forecast until well in to the evening on Sunday. As opposed to the reaction times off the start on Sunday, the reactions of the drivers previously linked to a Ferrari seat for 2016 is a lovely sub-plot this weekend. For Bottas, Hulkenberg, Ricciardo and Grosjean the opportunities to move have become extremely limited. Each is frustrated with their current team for different reasons. With big scarlet door closed, for now, each could easily lose motivation. Team principals of course will be looking to see how those drivers who may or may not have been on the Ferrari short-list react. Those that continue to perform and motivate themselves will stand a better chance for 2017 with the teams that may or may not have vacancies. As MotorSportNotes examined earlier, there are options for all four and there remains pressure to perform. In normal circumstances a driver in Kimi Raikkonen’s position would feel under a great deal of pressure now. Of course Kimi being Kimi means the 2007 World champion will still approach everything in his usual manner. Spa is a decent track for him to ‘restart’ with Ferrari and demonstrate why he is worth retaining. 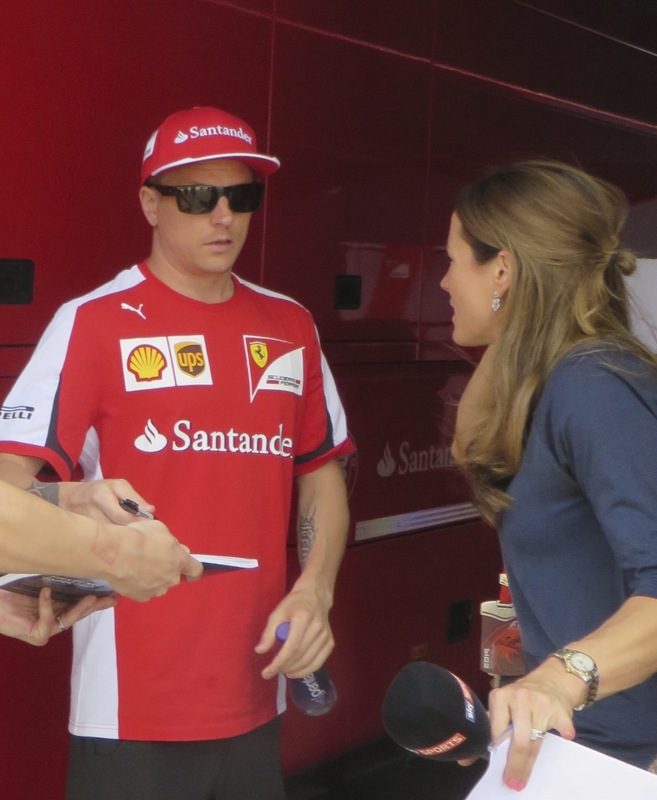 It is great for F1 that the ‘Iceman’ is sticking around for at least one more season. We will lose something when he retires and whilst he may be past his prime, he can still be super quick, brave and thrilling to watch.